In TALLAHASSEE — Not since any time in recorded history have any two Governors Together Texas Governors Rick Perry and his Florida counterpart Rick Scott been so adamant at hastening the pace of signing death warrants. Both in Florida and Texas the lining up three executions over the past few weeks, the most in such a brief time, in more than two decades. While, in both states use of Capital punishment, has become extremely questionable. There is a wealth of mounting evidence that corroborates this fact. Together Texas Governors Rick Perry and his Florida counterpart Rick Scott have been responsible for a U.S. record at hastening the pace of signing death warrants. According to research by many organizations including this recent report by Amnesty International-The death penalty, both in the U.S. and around the world is discriminatory and is used disproportionately against the poor, minorities and members of racial, ethnic and religious communities. In Florida Governor Scott has been so eager to use the death penalty. The state also leads the nation with 24 cases of death row exoneration‘s, according to the Death Penalty Information Center. Since taking office in January 2011, Governor Scott has endorsed eleven death warrants, and 13 more inmates face the impending issuance of a death warrant. Governor Rick Scott has accelerated the pace of signing death warrants in Florida at one point recently by lining up three executions over the in a matter of weeks, the largest in such a brief period, in more than two decades. “It appears that every 10 days, Gov. Scott is signing a death warrant.” Said Martin McClain, a lawyer who has defended many Florida death row inmates. No one knows, the reasoning for the timing of death warrant signings, and that information has long been shrouded in mystery in Florida, and it has been the subject of consternation among lawyers who represent death row inmates. Inmates are entitled to appeal their convictions in both the state and federal courts, and every case undergoes an inquiry by the Florida Parole Commission before the governor can sign a death warrant. Again, Scott not long ago signed three death warrants in succession, for sentenced murderers Elmer Leon Carroll, William Van Poyck and Marshall Lee Gore. All three have been on death row for greater than 20 years, A historical record. Unfortunately, Florida is one of 33 states that has the death penalty, and it has 405 inmates on death row, more than any other state except California. The state has executed 75 people since 1976. In TEXAS- Governor Rick Perry on Wednesday April 9, 2013-executed Ramiro Hernández Llanas, a Mexican national with a mental disability, with research conducted by Amnesty International. Ramiro Hernandez Llanas had a final hope for mercy a reprieve from the state governor because the Texas Board of Pardons and Paroles denied clemency. 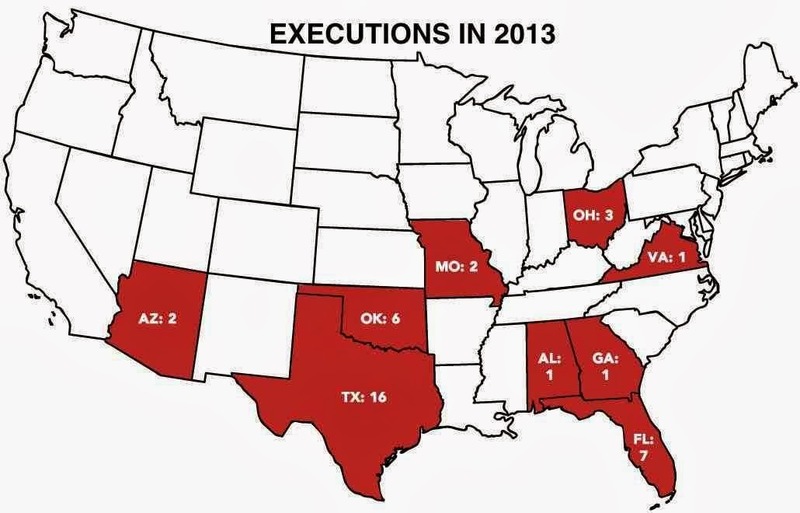 There have been 15 executions in the USA this year, five of them in Texas. Since Judicial Killing resumed in the USA in 1977 under revised capital statutes, there have been 1,374 executions nationwide. Texas accounts for 513 of these executions; 274 of them have happened during Governor Perry’s time in office. In the Hernandez Llanas case, the state had relied upon racial stereotyping and the views of discredited “expertise” to secure his death sentence – now carried out shortly after 6pm, local time, on 9 April. USA in 1977 under revised capital statutes, there have been 1,374 executions nationwide. 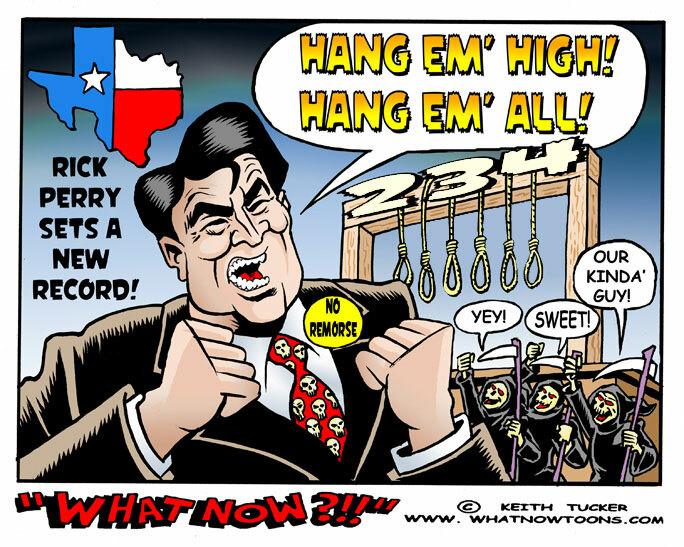 Texas accounts for 513 of these executions; 274 of them have occurred during Governor Perry’s time in office. “This case cried out for Governor Perry to use his power of reprieve. He must have recognized that the state has relied upon shoddy ‘expert’ testimony to get Ramiro Hernández Llanas to the death chamber,” said Rob Freer, Amnesty International’s researcher on the USA. At the 2000 trial, the prosecution turned to the testimony of a discredited psychiatrist, Dr. James Grigson, to rebut the opinions of mental health experts retained by the defense. Grigson, who had never examined the defendant, declared that Ramiro Hernández Llanas would likely commit future acts of criminal violence because he was a sociopath who lacked a conscience. James Grigson persuading the jury that the defendant will be a “future danger” to society, even in prison, reprimanded and although Grigson was expelled from the American Psychiatric Association because of his resort to such unscientific testimony in capital trials,” said Rob Freer. Given that which came next – was psychiatric testimony tainted by racial stereotyping – this case stood out starkly as one more Texas injustice that turned into continuity in the lethal injection chamber. Texas is no stranger to injustice when it comes to the death penalty,” said Rob Freer. The American Association on Intellectual and Developmental Disabilities, founded in 1876, together with The Arc of the United States, the USA’s largest community-based association working with people with intellectual and developmental disabilities, also urged the Court to intervene. It refused to do so. Ramiro Hernandez Llanas was sentenced to death in February 2000 for the murder of his employer, Glen Lich, who was bludgeoned to death at his ranch in Kerr County on 14 October 1997. Hernández Llanas only knew severe poverty in Mexico, as a child with his family living in a cardboard shack next to a scavenge dump. In tests conducted over the past decade, Ramiro Hernandez Llanas has been evaluated as having an IQ in the 50s or 60s. He suffered from severe adaptive functioning deficits across a range of skill areas including linguistic, academic, conceptual, social, work and domestic. Can the state, which represents the whole of society and has the duty of protecting society, fulfill that duty by lowering itself to the level of the murderer, and treating him as he treated others? The forfeiture of life is too absolute, too irreversible, for one human being to inflict it on another, even when backed by legal process. And I believe that future generations, throughout the world, will come to agree. Kofi Annan, Ghanaian diplomat and Secretary General of the United Nations 1997 -2007. Gregg L. Greer a Public Speaker, Pastor, Writer and Social Activist. Greer is the Founder/Editor of One World, and One World Today internet journals. you can reach him at Contact: one1worldtoday@gmail.com. This entry was posted in Civil Rights, Gregg Greer, greggrreer, Human Rights, One World, oneworld, oneworld01, SCLC, Uncategorized, Urban Christian Leadership, Violence and tagged Amesty International, Court, Criminals, death penalty, George Stinney Jr. Youngest Person ever executed in U.S. History strong, Human Rights, mentally disabled, oneworld01, Rick Perry, Rick Scott, Texas, United States, Us, world.